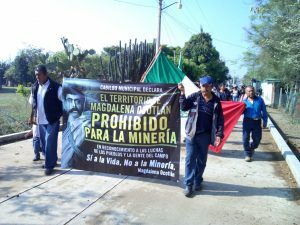 In Oaxaca, the Indigenous community of Magdalena Ocotlán passed a prohibition on mining in its territory, and demanded the cancellation of the Canadian San José mine, which threatens residents' only source of water. Magdalena Ocotlán, Oaxaca, 10 April, 2019 — On the 100th anniversary of the assassination of Emiliano Zapata, local authorities of the Zapotec town of Magdalena Ocotlán, in the Central Valleys of Oaxaca, held a town hall session to prohibit all forms of mining in their territory. In a statement, the Municipal Council declared: "In the exercise of our rights to autonomy, self-determination, a healthy environment, territory and health, and in the framework of the 100th anniversary of the assassination of Emiliano Zapata, who fought for land for our peoples and communities, the Municipal Council of Magdalena Ocotlán has taken the firm decision to declare our territory prohibited for mining." Local authorities said this prohibition includes the prospection, exploration and exploitation of minerals, as well as any national or transnational project aimed at modifying or extracting the natural assets of their territory. Since 2009, Magdalena Ocotlán has strongly opposed the imposition of the San José mining project, operated by the Vancouver-based company Fortuna Silver Mines in the neighboring municipality of San José del Progreso. "For 10 years, the community has suffered various impacts from mining exploitation, characterized by explosions and vibrations at night, excessive dust, water contamination, arbitrary detentions, threats and intimidations,"authorities said. Twelve days after the murder of Indigenous environmental activist Samir Flores Soberanes, Mexican authorities have neither determined a motive for the crime nor detained any suspects. 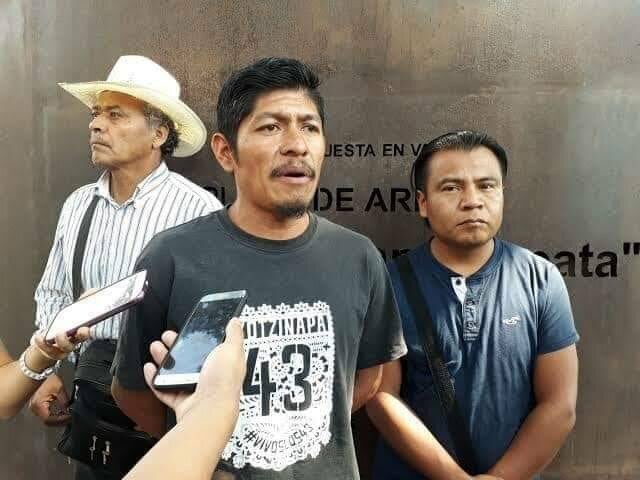 Flores, an Indigenous Náhautl radio producer and member of the People’s Front in Defense of the Land and Water for the states of Morelos, Puebla and Tlaxcala (FPDTA), died on 20 February 2019, after being shot twice in the head by unknown assailants outside his home in the town of Amilcingo in Morelos state. Last Tuesday, the federal delegate for Morelos, Hugo Eric Flores, said it was also necessary to investigate the leadership of the FPDTA “from beginning to end, just as I am saying that I should be investigated totally." 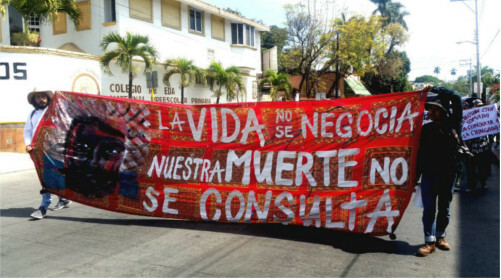 Since Flores's murder, the FPDTA has maintained that Flores had no enemies other than the promoters of the plant and pipeline, which form part of the “Integral Project for Morelos.” Last weekend, the megaproject was approved in a controversial referendum that was boycotted by residents of Amilcingo and other affected towns. Indigenous Náhuatl land defender and radio producer Samir Flores Soberanes was shot to death early Wednesday morning in the community of Amilcingo in the state of Morelos, Mexico. Flores was an outspoken opponent of a thermal-electric plant and gas pipeline that form part of the Integral Project for Morelos, originally proposed in 2010 but recently promoted by Mexican President Andrés Manuel López Obrador as a way to improve the region’s energy independence. The People’s Front in Defense of the Land and Water for the states of Morelos, Puebla and Tlaxcala (FPDTA) said in a statement that Flores died after being shot twice in the head by unknown assailants. The FPDTA declared that Flores, who helped to found the Community Radio Amiltzinko 100.7 FM, had no enemies other than the promoters of the mega-development project, which includes a thermoelectric plant in Huexca, Morelos, as well as an aqueduct and a gas pipeline whose operation would affect over 60 farming communities in the Popocatépetl Volcano region, including Amilcingo. “This is a political crime for the human rights defense that Samir and the FPDTA carried out against the [project] and for people’s autonomy and self-determination,” the statement said. Flores’s murder takes place just three days before a controversial referendum on the project, to be carried out in the states of Morelos, Puebla and Tlaxcala on February 23 and 24. So far seven communities have filed legal injunctions against the referendum, which they say violates their right to free, prior and informed consent as Indigenous peoples. “This should be an Indigenous referendum and it should be conducted one by one” with affected communities, said Juan Carlos Flores, an activist from Puebla. 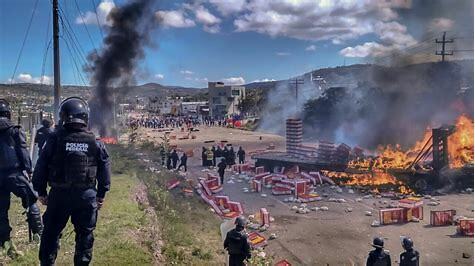 On June 19th, 2016, prolonged tensions due to the Mexican government’s educational reform came to a head in Asunción Nochixtlán, a Mixtec municipality an hour’s drive from Oaxaca City, where at least 8 people were killed and 226 civilian injured during protests. During this incident, the government of Oaxaca—a southern territory known for Indigenous and popular resistance—once again proved that it does not hesitate to use excessive force to impose its will. In November, as the UN conducted a comprehensive review of human rights in Mexico, Oaxacan civil society organizations again turned their gaze to Nochixtlán as an emblematic case of state violence and impunity, which they say worsened during the last presidential and gubernatorial terms. In the context of the UN Human Rights Commissions’ Universal Periodic Review (UPR), Oaxaca NGOs including EDUCA A.C. published the shadow report, “Under attack. Human Rights in Oaxaca 2013-2018”, which cites the Nochixtlán massacre in analyses of worsening attacks against human rights defenders, violence as a key strategy for the imposition of structural reforms, and the criminalization of social protest in Oaxaca. On December 10th, communities and civil society organizations gathered in the central plaza of Oaxaca City to present the conclusions and final report of the first Peoples’ Trial against the State and Mining Companies in Oaxaca. 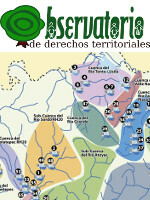 This historic tribunal—in which representatives of 52 Indigenous and farming communities judged corporate and government actors for polluting their land and violating their rights—has given rise to historic conclusions: a grassroots network that is militating for the prohibition of mining in one of Mexico’s most culturally and biologically diverse states.